the CSU Energy Institute visit the Center. 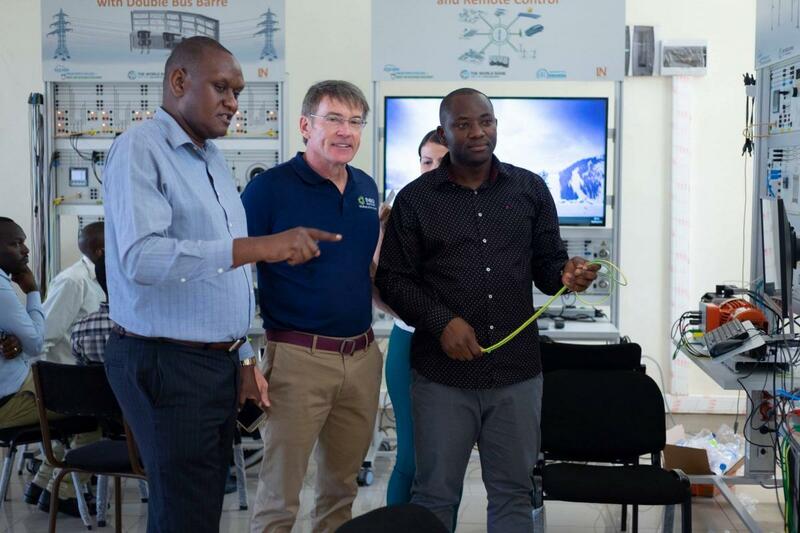 they spoke with the Director of the African Center of Excellence for Energy and Sustainable Development while visiting the microgrid lab at the University of Rwanda.They are working to develop the research capabilities of their lab - modeling thier lab at the Powerhouse Energy Campus - in an effort to help the country of Rwanda fully electrify by 2024.
n May 2018, Aphrodis Nduwamungu and Geoffrey Gasore visited the Powerhouse Energy Campus to learn about our Smart Village Microgrid Lab and the best practices for incorporating research into education. This is their lab, which is used by graduate students at the University of Rwanda located in Kigali, Rwanda. 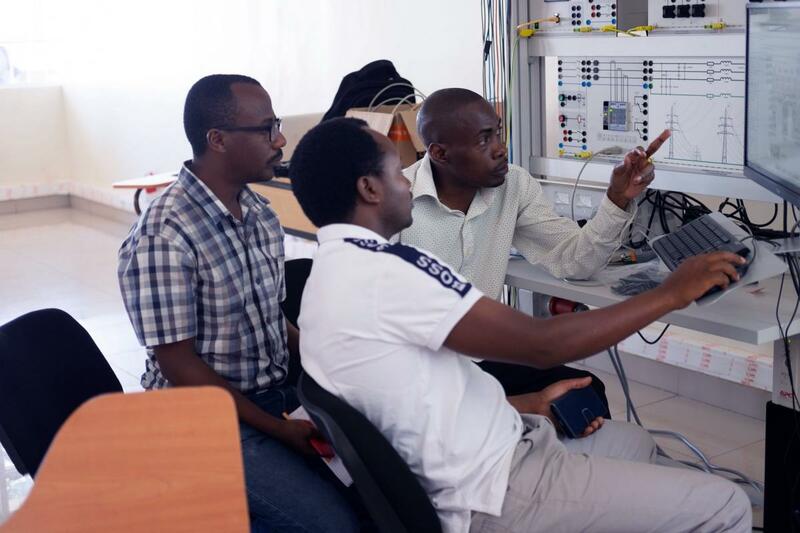 Staff and PhD students at the ACE-ESD University of Rwanda work on systems at their microgrid lab. 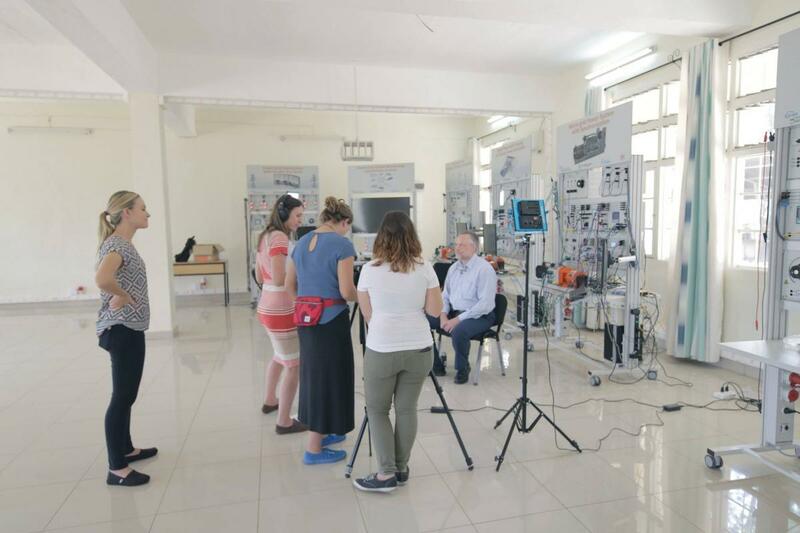 The communications team sent to the ACE_ESD University of Rwanda interviews Dan Zimmerle, senior researcher at the Energy Institute. 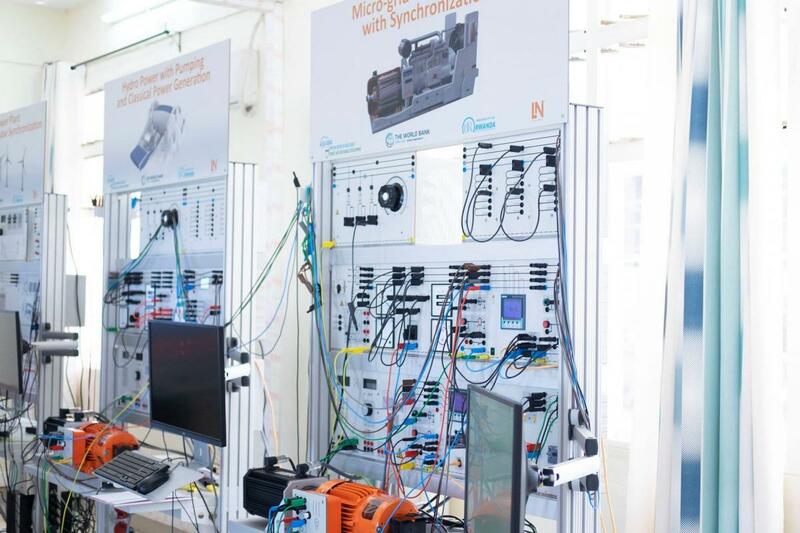 Zimmerle works in the Smart Village Microgrid lab located at Powerhouse Energy Campus and helps advise graduate students at the ACE-ESD University of Rwanda's microgrid lab.